We're proud to present a series of K-TIG case studies from some of the largest and most reputable companies in the industry. The savings and productivity benefits that the companies are experiencing. A comparison of their previous setup versus their new K-TIG setup. 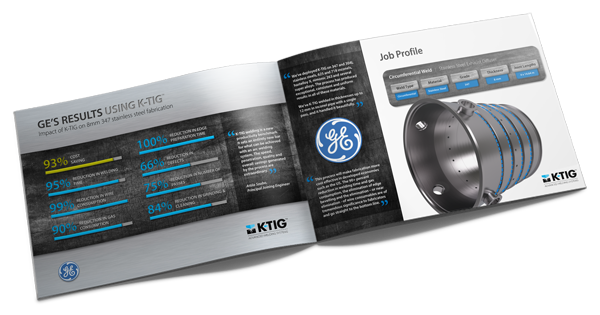 How General Electric reduced their costs by 93% by switching to K-TIG. How TITAN reduced welding time by 83% when they installed K-TIG. How Bilfinger reduced wire consumption by 99% by switching to K-TIG.